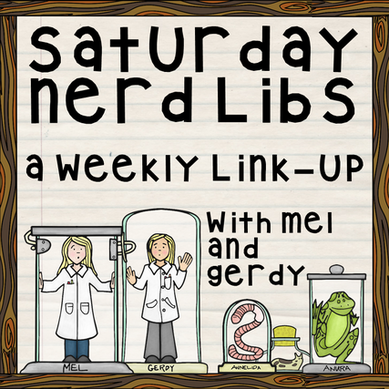 Once again I am linking up with Mel and Gerdy's 12 days of Nerd Libs. They are so creative with these. I filled it out in true nerd libs style, where I looked at the prompts first. I hope you will be entertained and please visit some of the other blogs as well for even more! Hope you enjoy, and have a great holiday!! The mention of lice makes me itch all over! 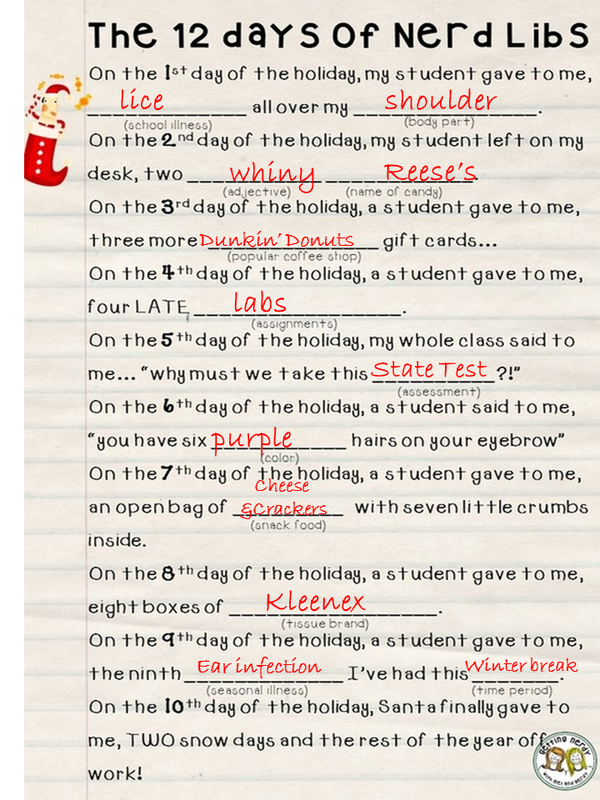 I once had a student who was out with lice for 30 days! It kept going around my classroom that year! Ugh! I agree with Carol hard not to start itching when you think of lice! These are hilarious and icky at the same time!